our closest relatives in animal kingdom. Great Ape Project – GAP is an international movement created in 1994. The main purpose is to guarantee the basic rights to life, freedom and non-torture of the non-human great apes – Chimpanzees, Gorillas, Orangutans and Bonobos, our closest relatives in the animal kingdom. For that, the project created the World Declaration on Great Primates, document that turns these rights official. Today the International Great Ape Project, consisting of independent institutions in Brazil, Chile, Córd d'Ivoire, Germany, Mexico, Spain and Uruguay, has a new and therefore eighth national chapter: United Kingdom. 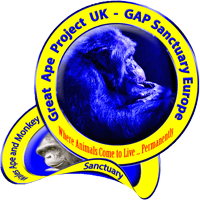 The Wales Ape & Monkey Sanctuary (WAMS) www.ape-monkey-rescue.org.uk has joined the Great Ape Project as a separate UK section. This is especially important for the German and Spanish GAP-chapters, as there has been no primate research on the GAP in Europe. 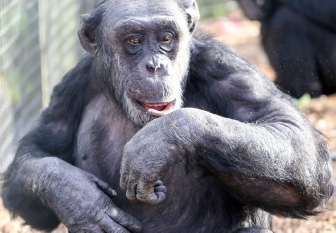 WAMS is now official GAP-Sanctuary Europe, which gives us the possibility to exert a much greater pressure on zoos and circuses, to give up primates from bad habitats. In addition, we have a much better position in dealing with veterinary authorities when it comes to the official seizure of primates. Until now, both zoo and circus operators as well as the respective competent authorities were able to reject our claims, even in the case of clearest violations of the animal welfare law. There was simply no suitable place where the animals could have been permanently rehomed. WAMS has all the necessary licenses to import primates from abroad to the United Kingdom and to keep them permanently. In contrast to the three other centers for primates in Europe, the WAMS pursues a strict no-way-back-to-a-zoo philosophy. The three other "Sanctuaries", on the other hand, cooperate closely with zoos and, where appropriate, return their animals or seized animals. One of these "Sanctuaries" is even engaged in breeding programs for zoos. 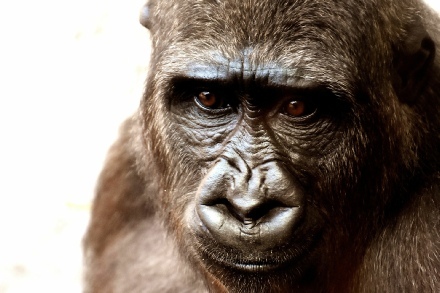 (see: https://www.greatapeproject.de/delbrck/ ). The founders and trustees of WAMS - Jan and Graham Garen and their dedicated team - have been working very reliably, professionally, and in full compliance with the principles of the GAP. GAP Sanctuary Europe are looking forward to being part of the International Community of GAP Sanctuaries all with a common mission.